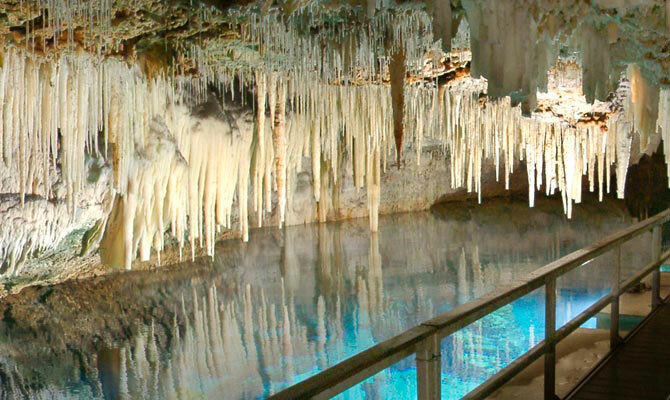 Crystal & Fantasy Caves are Bermuda’s top visitor attraction for some very spectacular reasons. 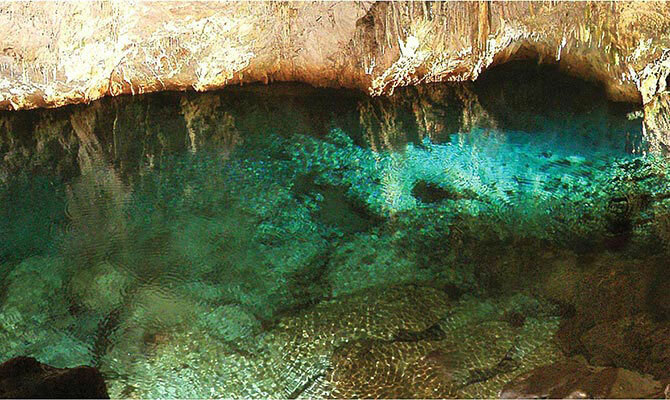 Deep, clear underground pools of azure blue water. Incredible formations of every size and shape imaginable. Cave ceilings adorned with rare chandelier clusters and delicate crystallized soda straws. Each cave is uniquely beautiful and is a new adventure to discover. Be sure to explore them both. It’s a not-to-be missed, favorite family activity in Bermuda. 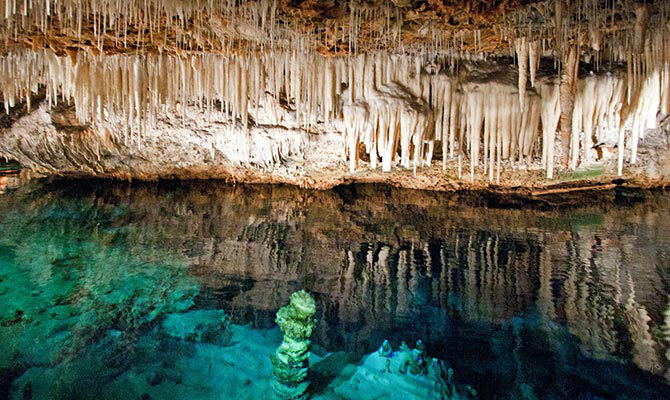 No wonder they are the most famous caves in Bermuda and called “Bermuda’s True Hidden Treasures” by visitors and residents alike. They are an absolute must on your list of things to do in Bermuda! Open Daily 9am – 5pm; Last tour leaves at 4:30pm; Guided tours leave every 20 minutes. We are closed New Year’s Day, Good Friday, Christmas Eve, Christmas Day and Boxing Day.